Chuck locks on valve when cocked on threads. Has greater air flow and seat cannot be blown out if seal fails. 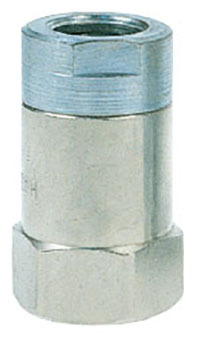 Has 1/4" NPT female thread.